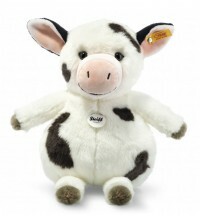 Steiff EAN 283031 Cowaloo Cow, 35cm. 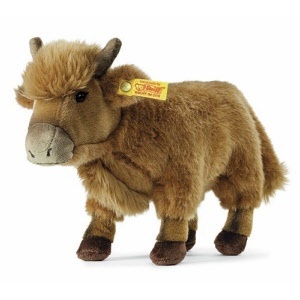 Steiff Cowaloo is 35 cm. / 14" tall and made out of spotted white / black plush. This Steiff plush toy is machine washable at 30° C.
Steiff Cowaloo has a stainless steel button in his left left ear. 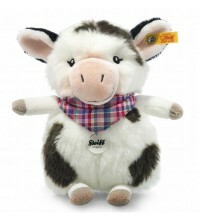 Steiff EAN 103049 Mini Cowaloo Cow, 18cm. Steiff Cowaloo is 18 cm. / 7.2" tall and made out of spotted white / black plush.